PocketSuite gives professionals to power to schedule appointments with clients, accept payment from clients, and communicate directly with clients. All from a single app. I recently read how an increasing number of independent dog walkers, barbers, and makeup artists are using tech to out-earn software engineers. I felt compelled to find out more about why on-the-go solopreneurs are suddenly in the driver’s seat because of three key technologies working together. 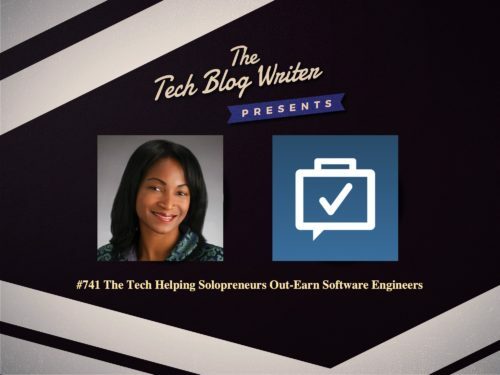 So, I invited the Co-Founder and CEO of PocketSuite, Chinwe Onyeagoro onto my tech podcast to learn more about the top three factors that give solopreneurs a leg up over some of the best-paid professionals in the US and beyond. At PocketSuite, Chinwe is responsible for growth, strategic partnerships, and customer success. We discuss how PocketSuite is an office in your pocket that is helping self-employed professionals get booked, paid, and message their clients. The app empowers any service professional to make extra income and run their own business from the palm of their hand. It appears that many freelancers and contractors are beginning to realize that to succeed at what they are passionate about they need to let a few things ago and accept that they cannot do everything themselves. With the right tools and mindset, could any solopreneur can earn a six-figure salary? The reason solopreneurs take the leap is to do something that they love and not getting weighed down with admin tasks. I learn how PocketSuite is riding this wave and using technology to help solopreneurs to increase the efficiency of day-to-day business functions, and simplify the customer experience. Today’s episode focusses on how technology is making it easier for anyone to build their own career.